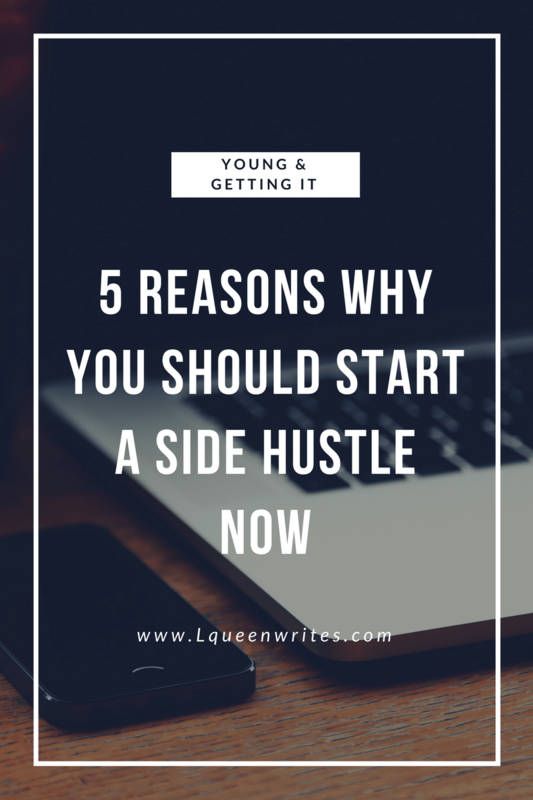 5 REASONS WHY YOU SHOULD START A SIDE HUSTLE NOW ! Having a side hustle is now ubiquitous, yet not everyone has tapped into this great idea of making extra income on the side. Everything keeps evolving in the world we live in, so one must ensure to improve daily to avoid borrowing when others are hustling their way to luxury. 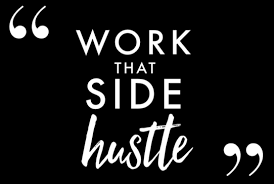 A side hustle is a way to make some extra cash that allows you flexibility to pursue what you’re most interested in. It can also be your true passion – a chance to delve into fashion, travel or whatever it is you care about the most without quitting your day job. I know you can relate to that very embarrassing moment when by the second week of the month, you have run out of cash because your salary and pocket money has already been swallowed by bills and expenses. I used to have that experience a lot back in Uni days but as soon as I got my side hustle game on I was able to get more money to meet my daily needs long after my pocket money had run out. 1. JOB SECURITY & PRESENT ECONOMIC SITUATION: If you have become so comfortable behind your desk and you feel that’s all you would ever need, think again! There’s really no job security anywhere anymore, in the last 3 years more people have lost jobs than ever before because most organizations are either downsizing or restructuring. So you better think of that and start now! No matter how much you are earning, your take home might not really be taking you home as much as it used to before because the price of everything and anything you can think of has increased…even Garri and Palm oil. Your landlord has probably started talking about increasing the rent and the mechanic has already increased the cost of servicing. So maybe it’s time to think of a side hustle to get that extra cash in your pocket. 2. EXTRA INCOME: Just like point one states we all need extra cash, whether you are a student or an employed person it’s important to have a side hustle. If just like me, you enjoy the sound of credit alerts on a daily basis then you need to have a side hustle too. It does not have to be something that will disrupt your present job or your academics, find something that can fit into your daily schedule and fix up your weekends too. Side hustlers are always doing something, using an opportunity others don’t see to make money so why not join us today? 3. A LIFE OUTSIDE WORK: Having a job is good but when that job becomes your whole life, you might end up regretting if it gets taken from you or if you miss out on the other great aspects of life because of it. Many of us have lost opportunities to network, to follow our passion or bring our dreams to life because we were all about work. Have something that gives you joy outside work, something that you can do on your own. A place where you don’t have to follow any rules, something you do on your own terms. Find that and you would be truly happy with yourself…that’s the life I live for right now. 4. 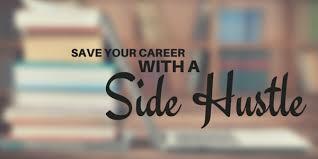 IT COULD BECOME YOUR FULL TIME JOB: If you grow your side hustle so well, it could become your full time job. My friend Olawale Animashaun the CEO of Int’l Sahar Clothing co started his business as a side hustle but today he has grown it into his full time job. He has 2 outlets in Lagos and 1 in Abuja, he also bought himself a brand new car from this side hustle turned full time job. So you see, a side hustle is capable of becoming your everyday hustle and it could make you live the life you want. I don’t know about you but I think having a 9-5 is now becoming out of style. 5. IT GIVES ROOM FOR CREATIVITY/ VERSATILITY: A side hustle gives room for creativity, it allows you think and come up with ideas that could change your life. It gives you room to be versatile, you can be a Doctor and makeup artist, You can be a lawyer and a personal shopper, You can be a banker and a blogger just like me….lol. A side hustle allows you learn new things that you might never know if you just stay within your 9-5 job. Freelance writing/ Content development for websites and magazines I’m the content director for Int’l Sahar Clothing’s website , Editor of EVOLVE youth magazine. Starting an Online shop via Jumia, Jiji, Konga etc. Making Pastries; cup cakes, chin-chin, puff-puff etc. 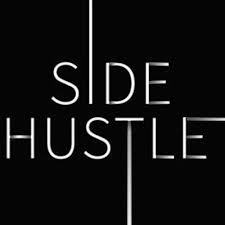 You can check the Side Hustle Nation for a more exhaustive list of Side hustles you can try out. For more information on how to start up, feel free to contact me…I’ll be ready to help you get your side hustle game on.